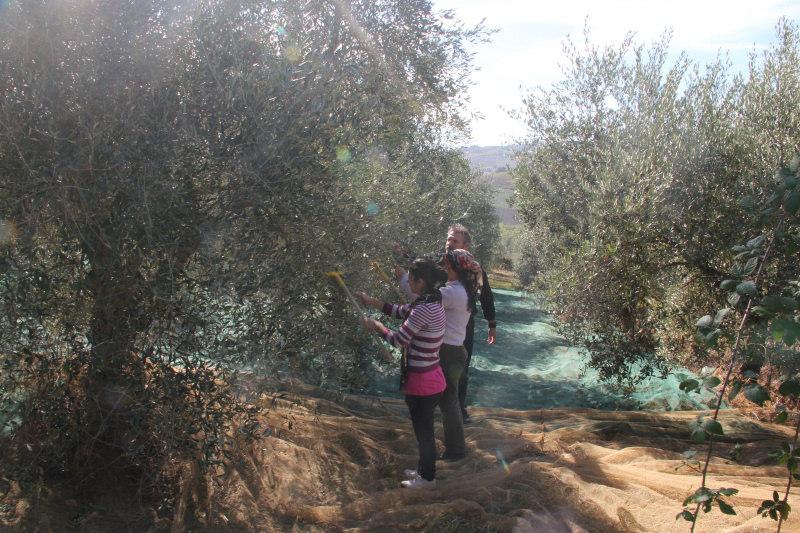 The olive tree plantation of the property, comprises of approximately 24 hectares in which, roughly 7,500 trees were planted between 1991 and 1996. The varieties of the plants are all characteristic Tuscany ones: leccino, moraiolo, frantoiano and pendolino. 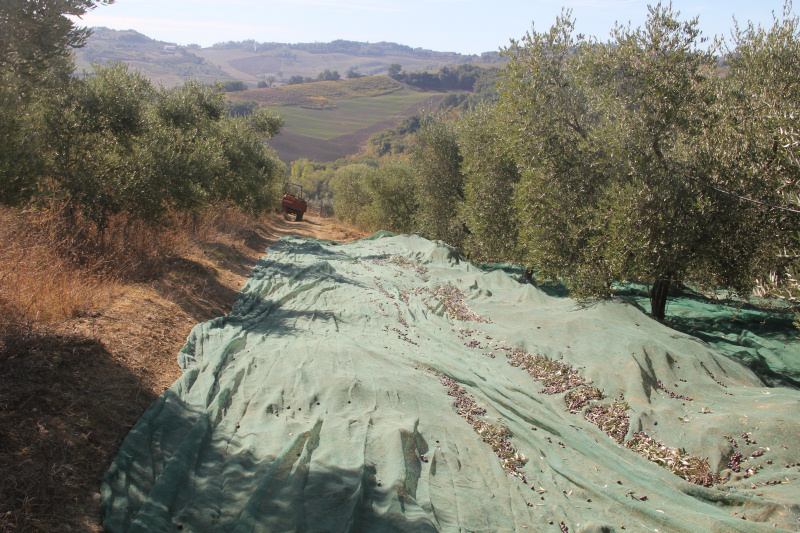 The plantations are located on 3 different hills (all within the municipality of Cinigiano) and their orientation is mostly south-east / southwest. 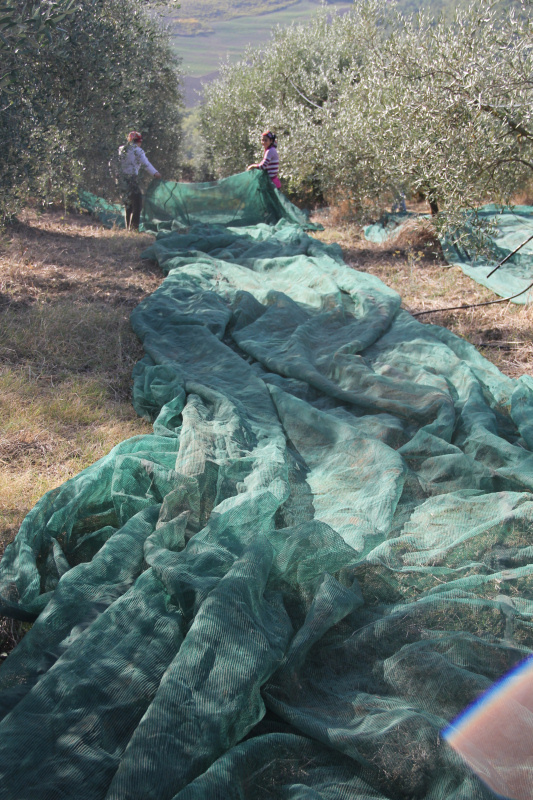 The olive trees are implanted at a distance of 5x6m from each other, hence providing a maximum production efficiency to easy-of-cultivation ratio. 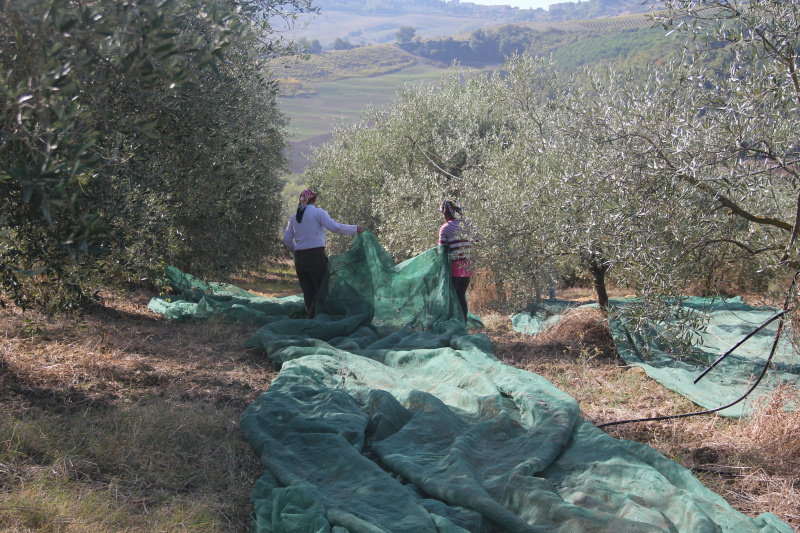 A major part of the olive grove is irrigated by an automated system using drops of water supplied from a nearby artificial lake. It should be noted that the plants are only irrigated in cases of emergency, such as in a long period of drought. 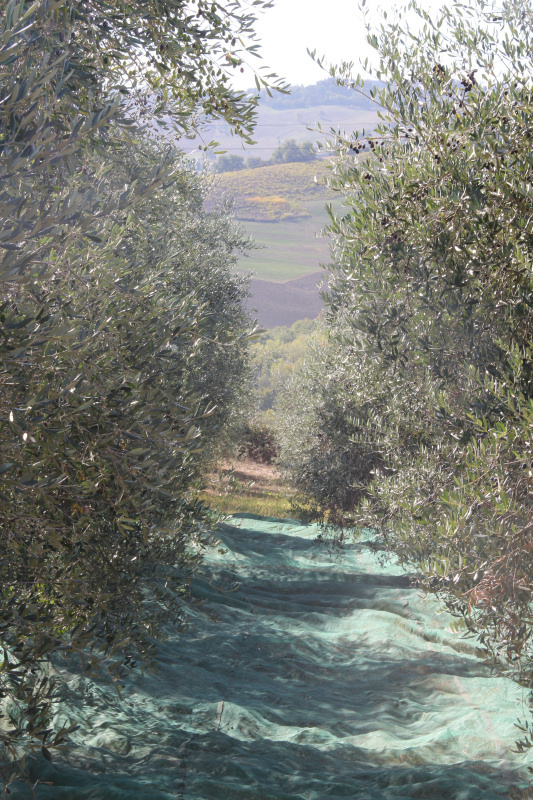 The trees are cyclically pruned / trimmed on a predefined two-year time-frame and are being given a typical polyconic vase-like shape (after the trimming each tree resembles an empty vase whose walls comprise of 3-4 main branches). 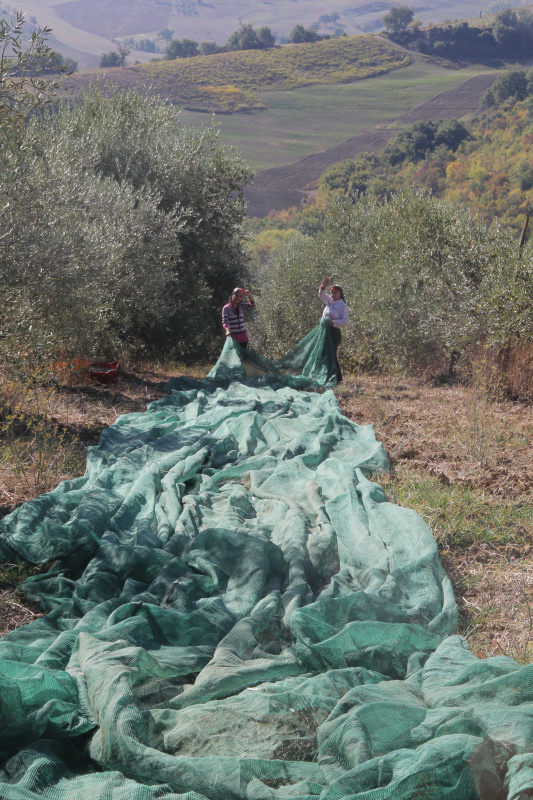 The collection process, is conducted manually in the first half of October. 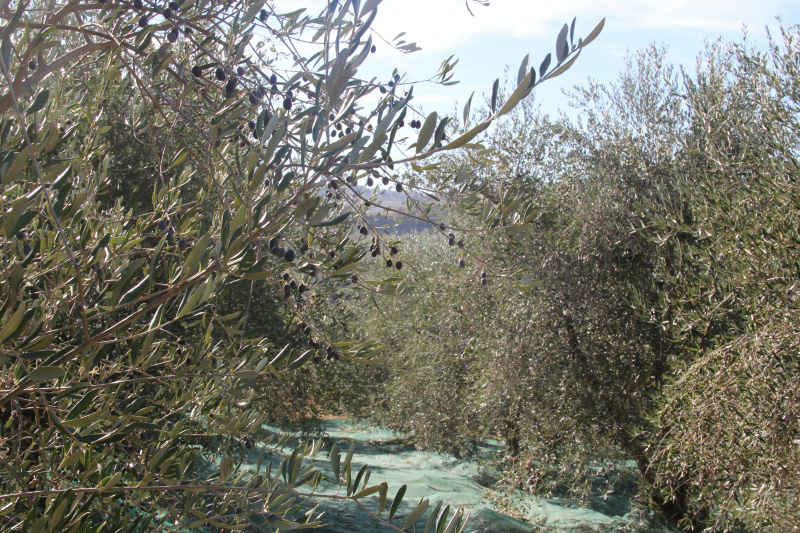 The exact time differs on each year, as the olives are due for collection when they start changing color (when they turn black from green). This procedure ensures a product with higher concentration in aroma (perfume) and polyphenol. 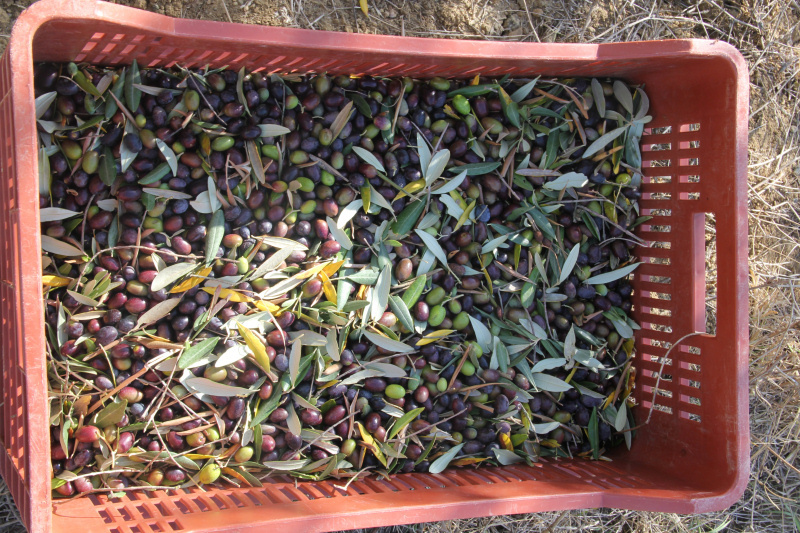 Upon collection, the olives are placed in small plastic baskets with wholes (thus ensuring ventilation) and are carried to the oil press. 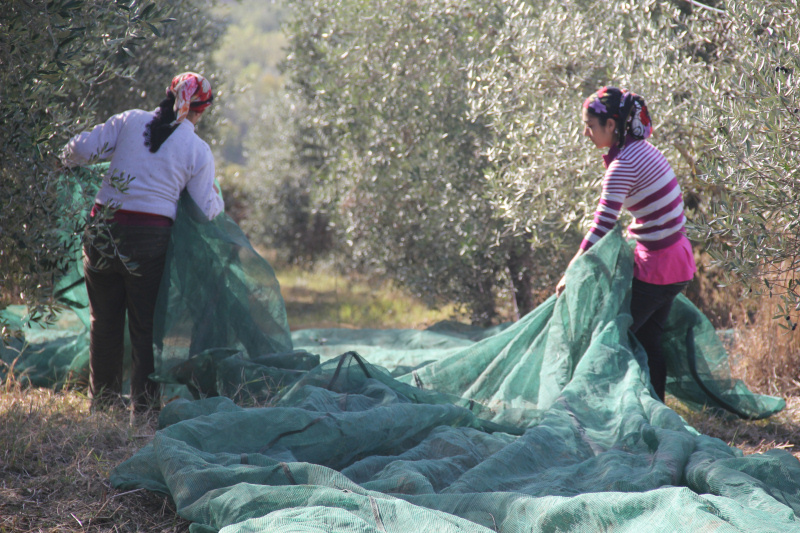 Their processing begins the same night or the next morning, at the latest. 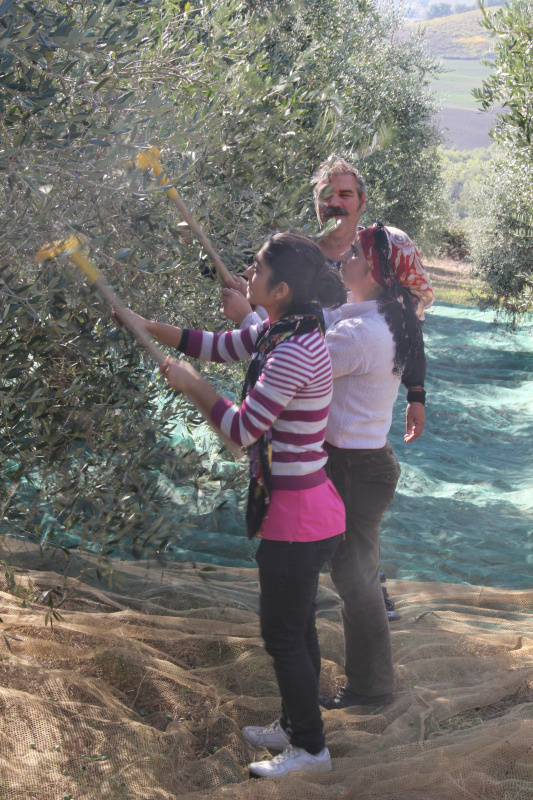 The processing takes place on a constant cycle and at a controlled temperature, which does not exceed 27 degrees Celsius. 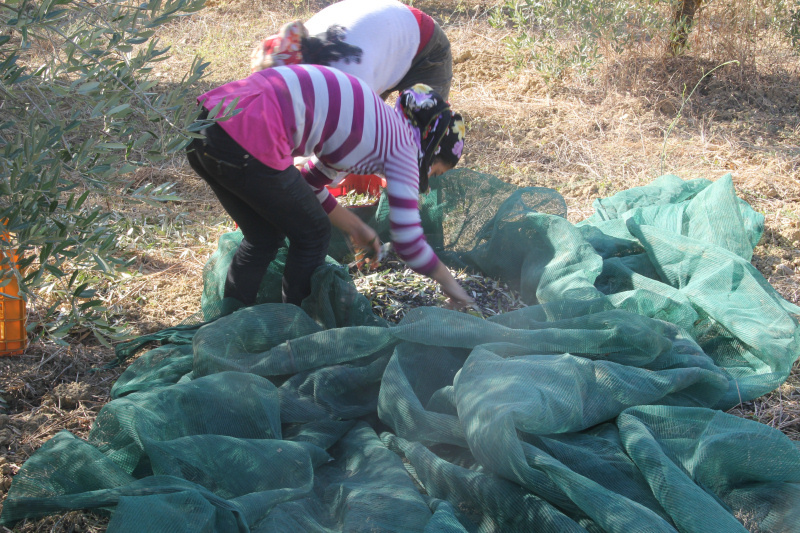 The oil is then filtered and placed in bottles of 0.75 and 0.25 litters, as well as 5lt aluminum containers. 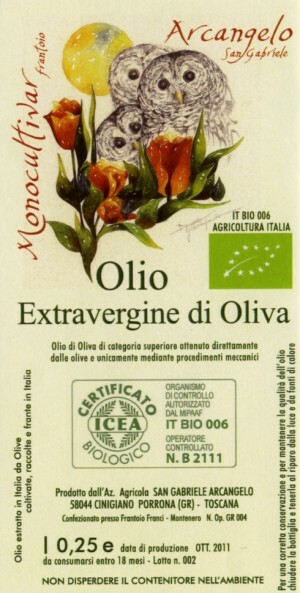 The olive oil’s acidic value is very low (around 0.1%). 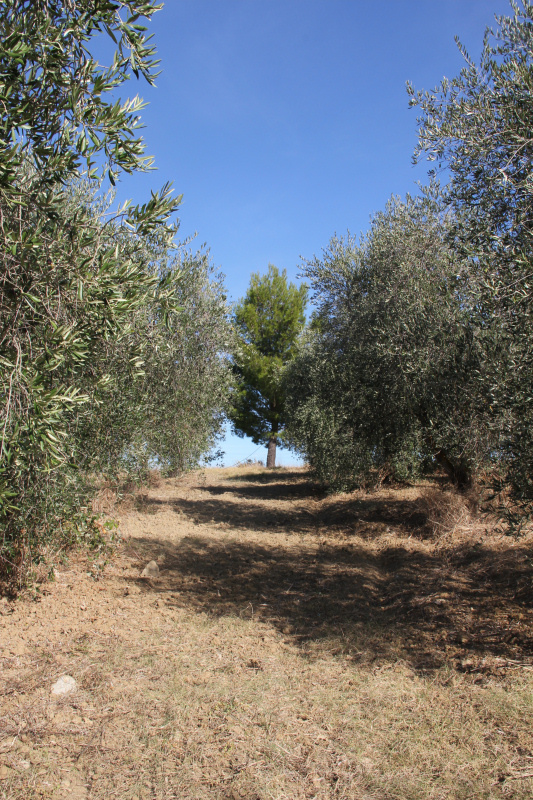 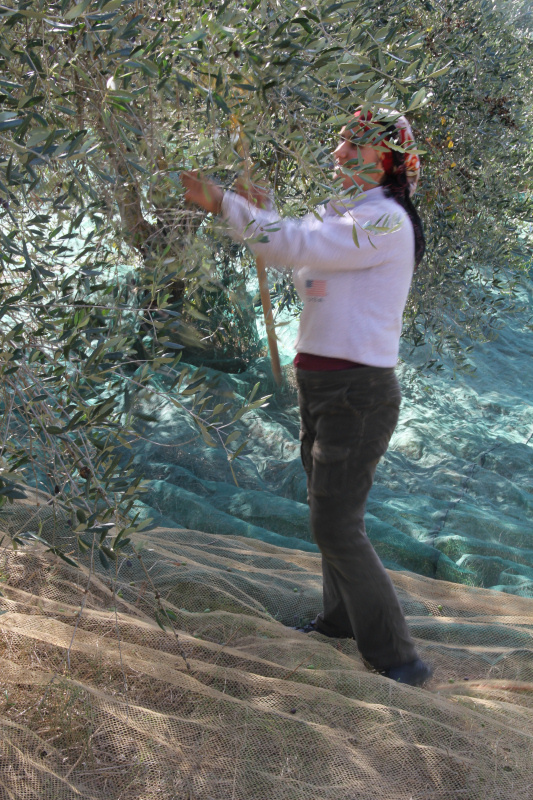 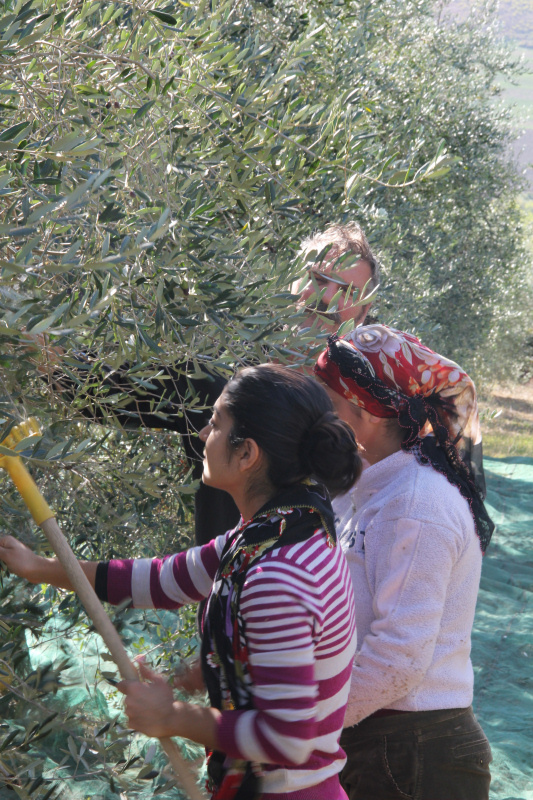 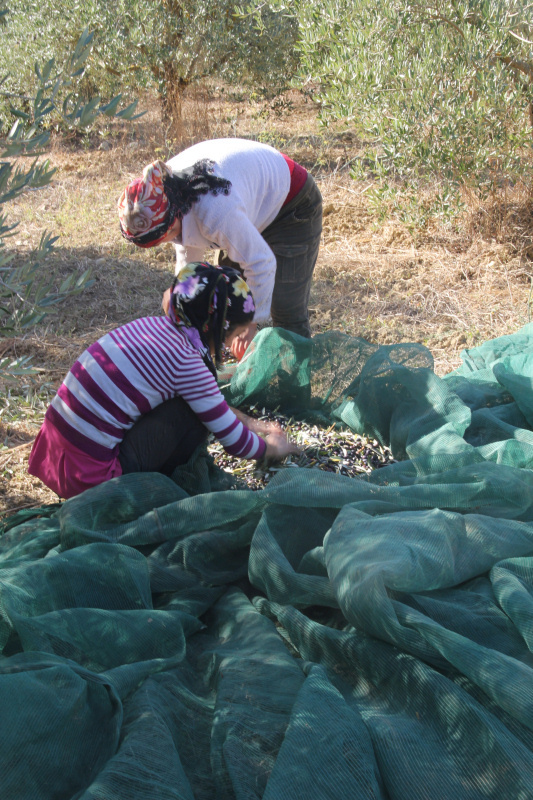 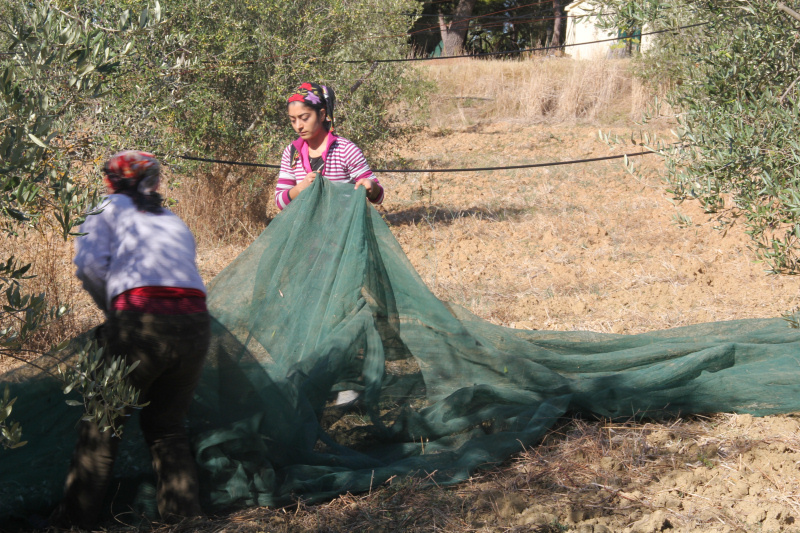 Beginning this year (2011) and onwards, the SGA property will produce two different types/varieties of olive oil. One with the frantoiano variety (MONOCULTIVAR), and another one with a blend olive oil with the leccino, frantoiano, moraiolo, correggiolo, pendolino varieties cased in both bottles and 5lt aluminum containers. Moreover, a small portion of the production will not filtered at all, for the fans of non-filtered oil.